This Traeger smoked turkey recipe will become the new family tradition on your Traeger grill. 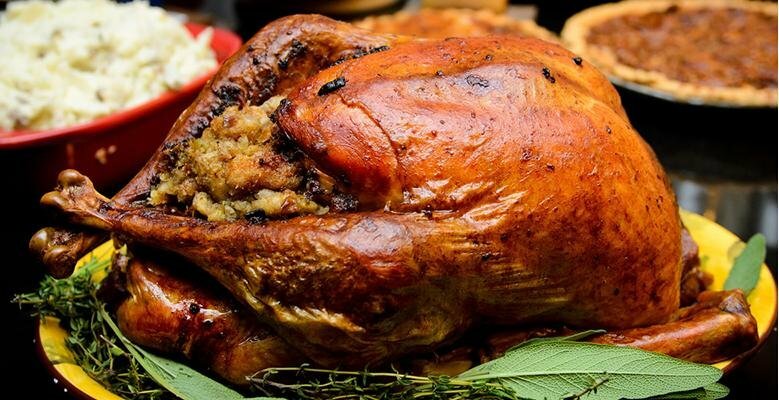 If you wanted the best Traeger turkey recipe, look no further, this is it. Pour 3 gallons of water & BBQ rub into a non-metal bucket and mix until dissolved. Add garlic, sugar, and worcestershire sauce and mix thoroughly. Place the turkey breast side down in the bucket, make sure it's completely submerged in your liquid mix, cover with lid and place in the fridge overnight. The next day, remove your turkey and pat dry. Rub canola oil all over turkey surface and place in a disposable aluminum pan, breast side up. Start your Traeger grill on the smoke setting with the lid open to establish a fire. This should take the usual 4-5 minutes. Place turkey on grill, close the lid, and smoke for 2.5 - 3 hours. Next, switch to 350F and cook for 2.5 hours or until internal meat temp reaches 170F. Remove turkey from grill and let it rest for 15 minutes. Slice, serve, and become a champion! RC Willey 84th Anniversary Doorbusters!